A review of the Pixar sequel to "Finding Nemo," in which Ellen DeGeneres voices the forgetful fish who again proves herself a true friend. ‘Finding Dory,’ with the voices of Ellen DeGeneres, Albert Brooks, Ed O’Neill, Kaitlin Olson, Hayden Rolence, Ty Burrell, Diane Keaton, Eugene Levy, Idris Elba, Dominic West. Directed by Andrew Stanton, from a screenplay by Stanton and Victoria Strouse. 95 minutes. Rated PG for mild thematic elements. Several theaters. So, while I’m not thrilled about Pixar’s increasing reliance on sequels, I couldn’t get too upset about the idea of spending more time with this fishy friend in “Finding Dory.” The movie, if not quite reaching the heights of perfection that “Nemo” found, is a delight. And if you think my eyes stayed dry when Dory told someone she loved, “No matter how much I tried, I just couldn’t forget you” … well, think again, and bring me a Kleenex while you’re at it. 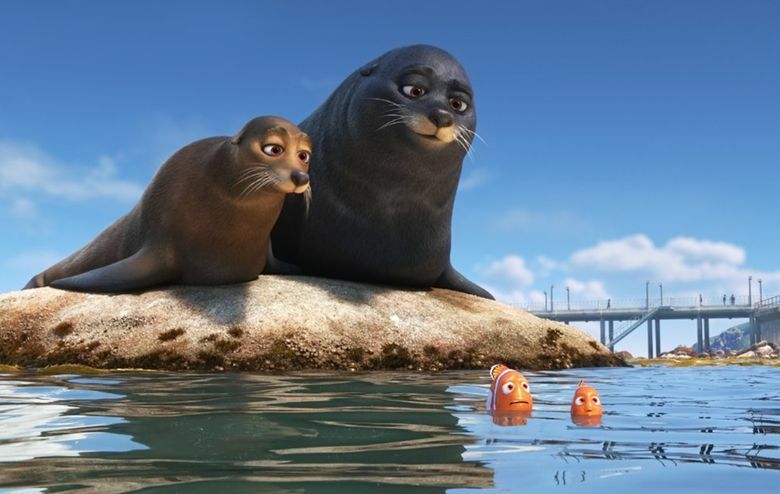 Tears aside, “Finding Dory” is mostly a jolly aquatic adventure, as Dory teams up with Marlin (Albert Brooks) and his son Nemo (Hayden Rolence) on a mission to find her parents. 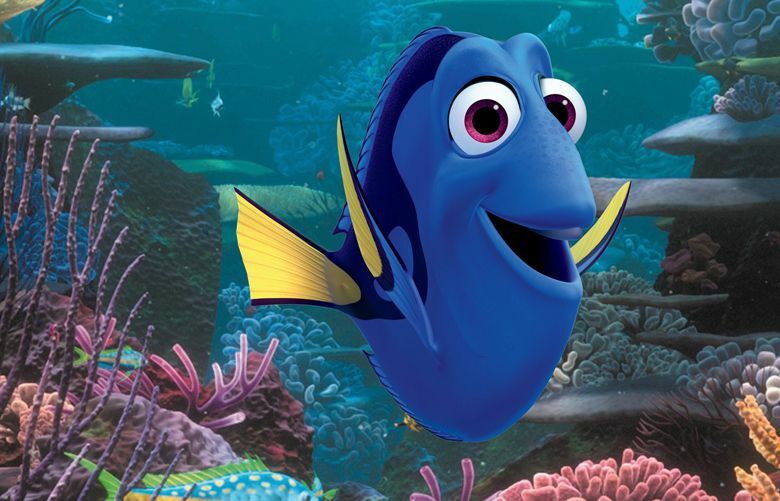 Because of short-term memory loss, Dory has a vague idea that she once had a family but has no idea what became of them. Off she and her friends go, catching a ride on a mellow sea turtle (good to see you back, dude!) that takes them to California’s Marine Life Institute — where new friends, harrowing experiences and a sweet end to Dory’s story await. As always with Pixar, much of the fun is in the details: an imposing chorus of singing sting rays; a particularly garrulous clam (who wants to talk about the nice scallop he dated for a while); a charmingly nearsighted whale shark; a perfect voice cameo from Sigourney Weaver; an explanation for why sea lions always seem to be saying “Off! Off! Off!” (Even more perfect casting: Idris Elba and Dominic West, former co-stars on “The Wire,” voice the sea lions.) And the animation, with its rich underwater colors and expressive faces (fishly scorn is done especially well), is a richly textured joy; even the 3D is subtly effective. 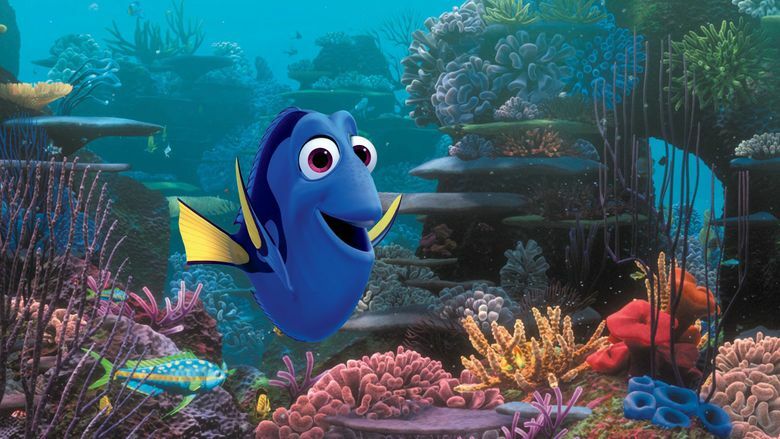 But for all the witty voices and great escapes (maybe one too many of the latter), “Finding Dory” is ultimately a character story, and DeGeneres’ lovable, brave Dory swims right into our hearts. Over the end credits, Sia croons “Unforgettable.” Spot-on? Maybe. Adorable? You bet.